Nicolas Normand as "DEATHSTAR81" wins a piece when Black falls into his trap. Jocelyn Bond of Canada wins a Grob Attack. 1.g4! is one of those Rare First Moves. About 20 years ago I played the 1.g4 Grob and 1...g5 Borg (Grob backward) many times. My most memorable experiences were the four games that I played against the infamous Claude Bloodgood. He was finishing out his life sentence in prison. Timur Gareyev won a Gibbins-Weidenhagen Gambit while he was setting the record at the Blindfold King. 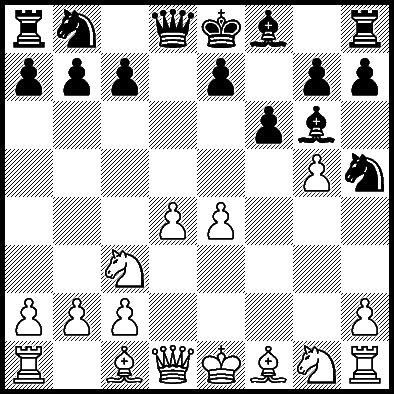 This gambit begins 1.d4 Nf6 2.g4!? White's plan is to gain time at the cost of the g-pawn. Black is usually surprised and totally on his own at this point. 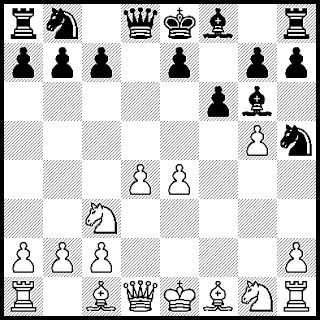 The natural continuation is to accept the gambit followed by moving the d-pawn to protect his knight. Humphry Bogart played a famous game in this opening. Diemer, Bronstein, Gibbins, Krabbe and a host of Blackmar-Diemer Gambit players have ventured this gambit against Black's 1...Nf6 invitation to play the Indian Defences. I've played it a few times myself in blitz games just for something different. In this game, Gareyev faced James Stuart. Black played pretty well for the first dozen moves. Then the grandmaster's skill took over.